Property Valuation - How much is my house worth? FREE RENTAL VALUATION - WHAT IS THE RENTAL VALUE OF MY PROPERTY, HOUSE OR FLAT? 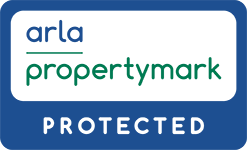 Need a free rental valuation of your property, house or flat? Gascoigne Halman’s team of letting experts provide up to date rental valuations for all types of property across South Manchester, North Cheshire & The High Peak With 25 years' of experience and consistent training you can rest assured that we will provide you with an accurate free valuation that ensures your property generates the best return possible. Why ask Gascoigne Halman for a free Property, House or Flat rental valuation? How much does a rental property valuation cost? Gascoigne Halman's rental market appraisals are completely free of charge. I currently live in the property; can I still arrange a rental property valuation? Even if you’re not ready to put your rental house on the lettings market immediately, knowing its rental value will help you as you organise your finances. Gascoigne Halman can help you not only let your property but also find your next one. 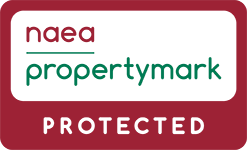 Our experienced letting agents provide rental valuations for houses in South Manchester, North Cheshire & The High Peak and all of the towns and villages in between. If you value my rental property do I have to let it through you? No. You are under no obligation to let with Gascoigne Halman if we provide you with a rental valuation. We will be in touch soon to arrange a mutually convenient time to carry out your market appraisal.